I knew when I was young that I wanted to be a writer, but somewhere along the road of life I lost my connection to that passion. 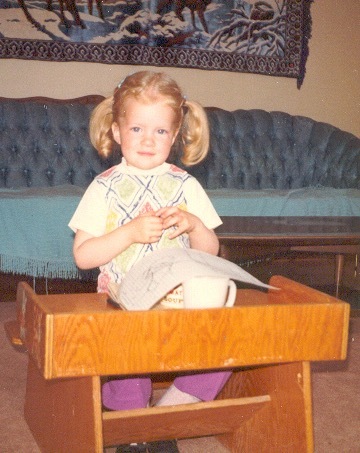 Then, when I was in my early twenties, I became increasingly dissatisfied in my job as a secretary for the Canadian Government and decided to go back to school to become an engineer. I wasn’t at the top of my class, but I was doing pretty good. I had momentum. I enjoyed school. Then, as I was nearing the end of my studies, I lost it all. The sudden death of my brother completely upended my life and made me reevaluate everything. Out of that very difficult period came a very strong desire to write, reconnecting me to my early passion, and ten years later I published THE LAST FALCON (which is dedicated to my brother). Along the way, I finished school, graduating with a degree in physics, and spent seven years as a criminal intelligence analyst for the Royal Canadian Mounted Police (primarily in federal drug investigations and homicide). Side note: one day, I may try my hand at thrillers! I was born in Vancouver, BC, grew up in North Vancouver, and am currently living in Chilliwack, BC. When I'm not writing, or otherwise occupied with the business of being a self-published author, I am usually working to support my writing (and publishing) habit, reading, watching movies, walking, pumping iron at the gym, or hanging out with friends.